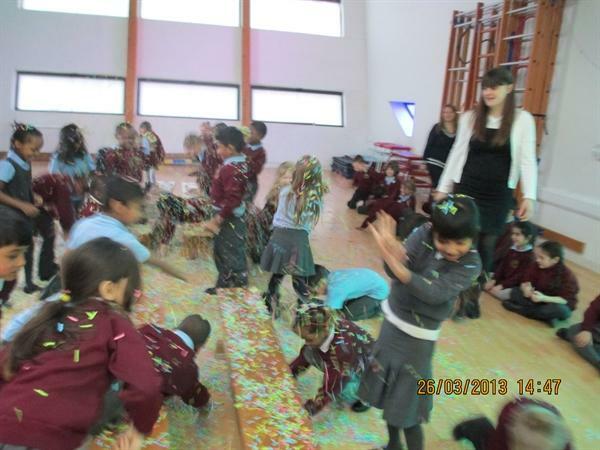 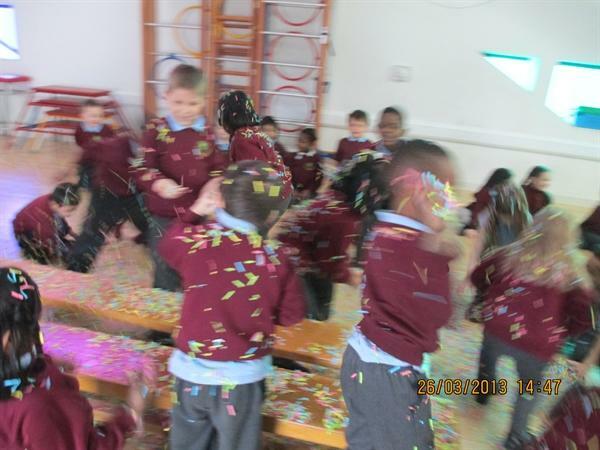 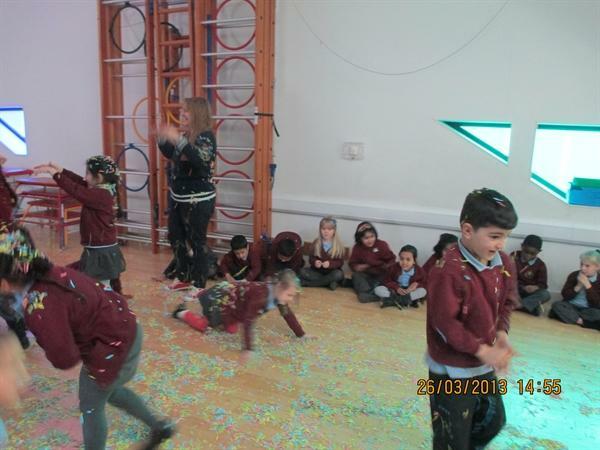 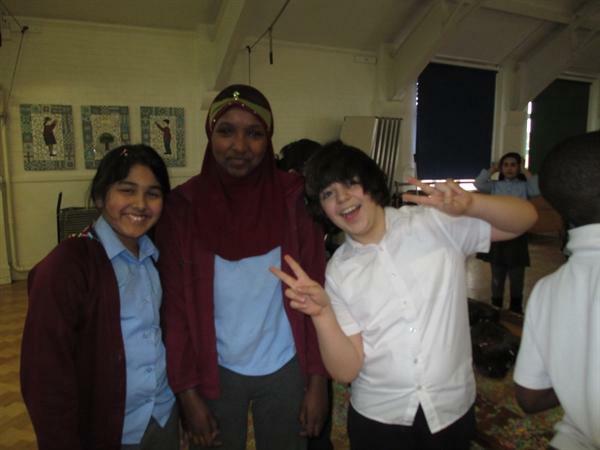 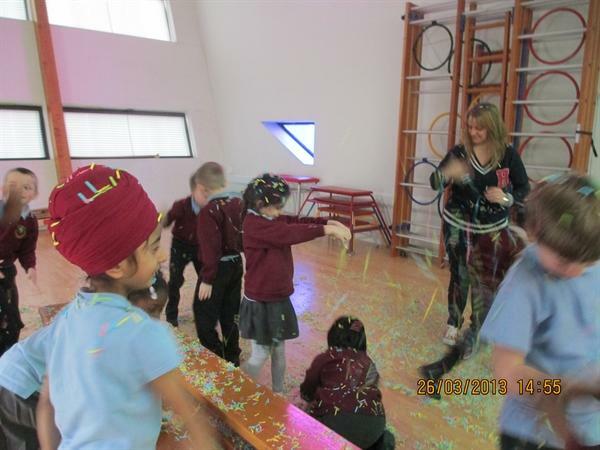 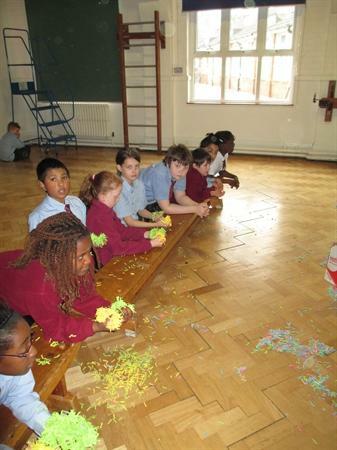 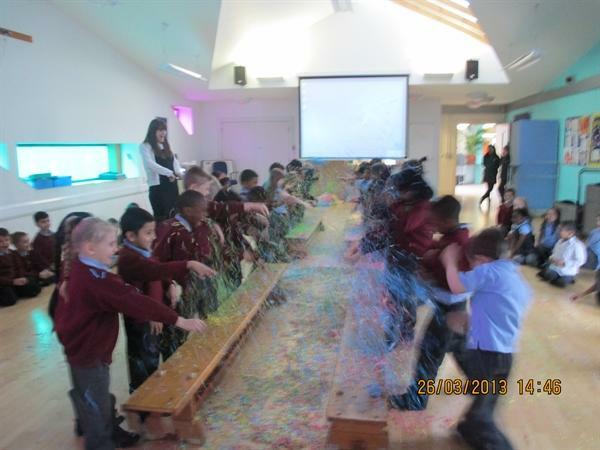 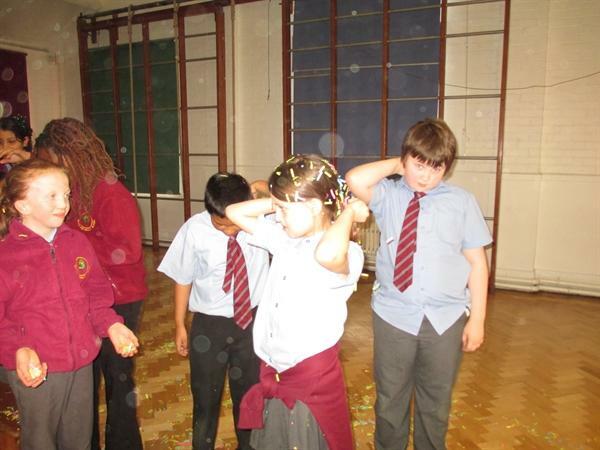 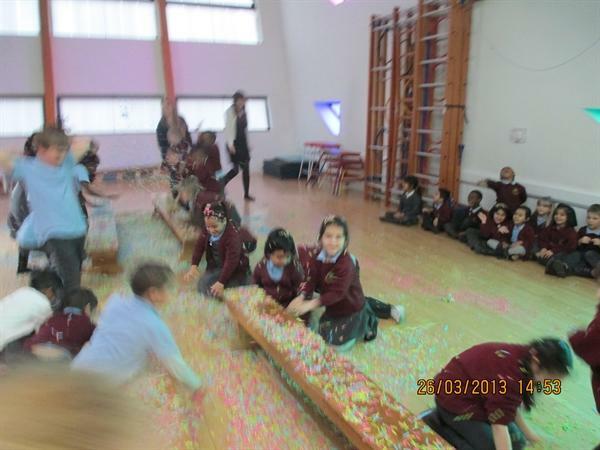 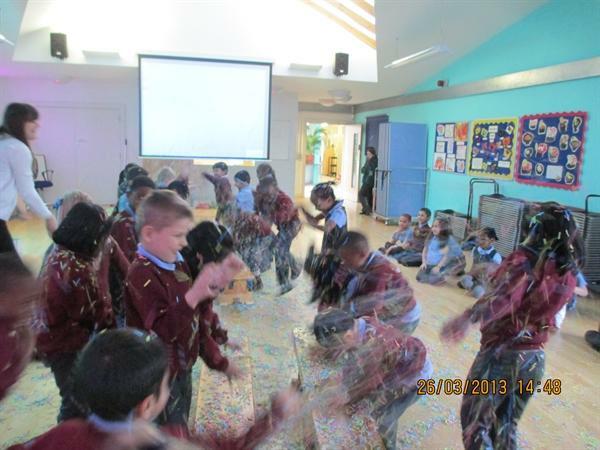 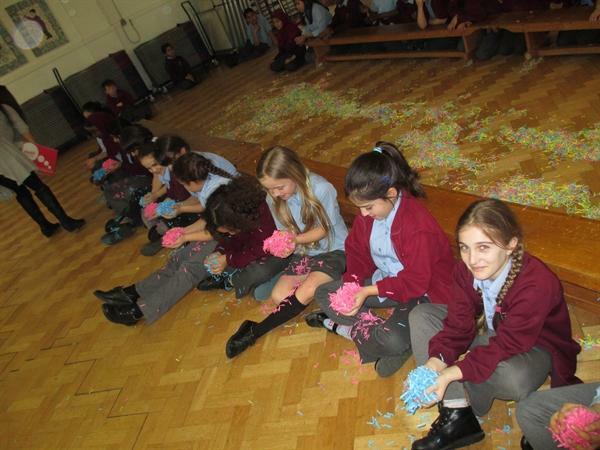 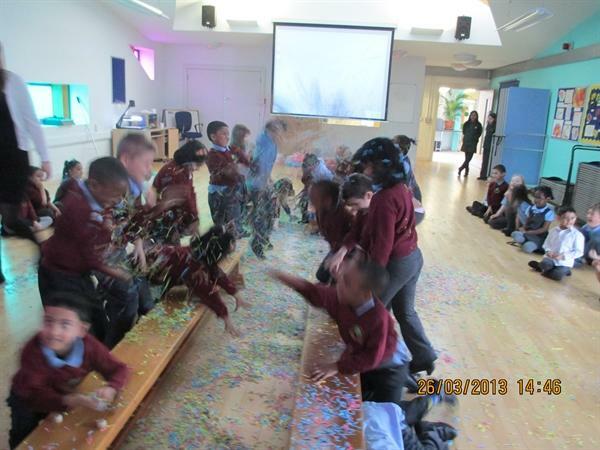 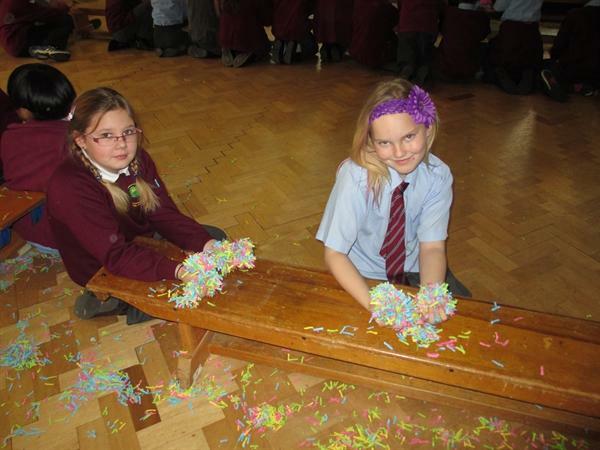 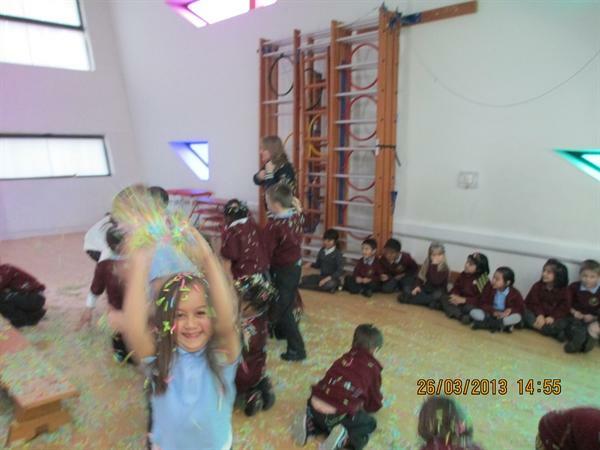 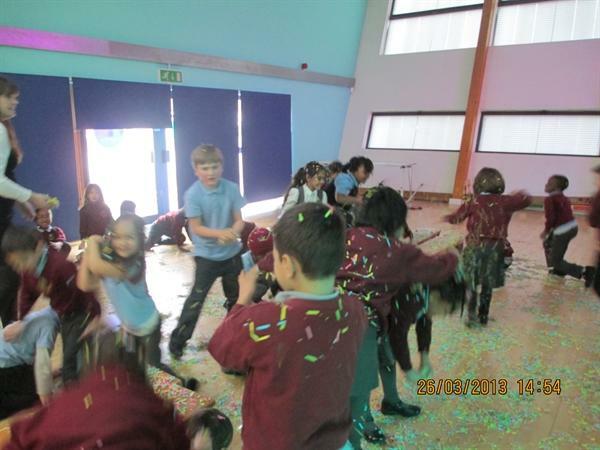 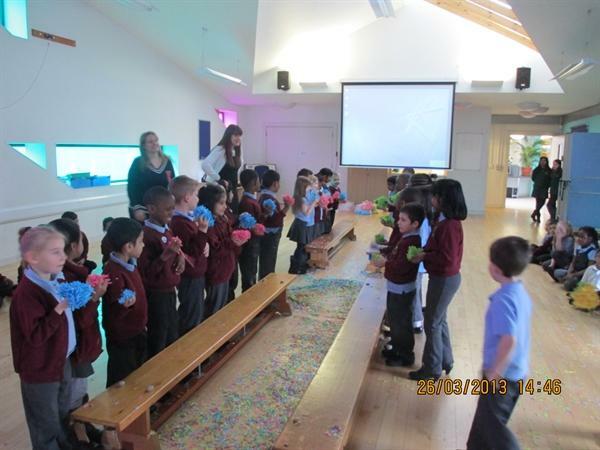 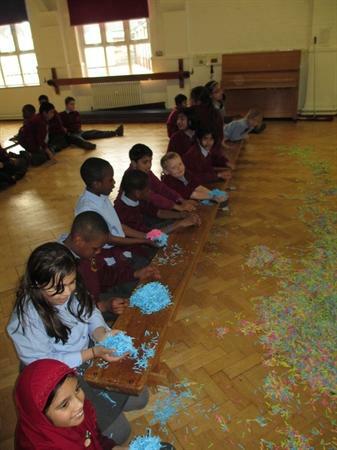 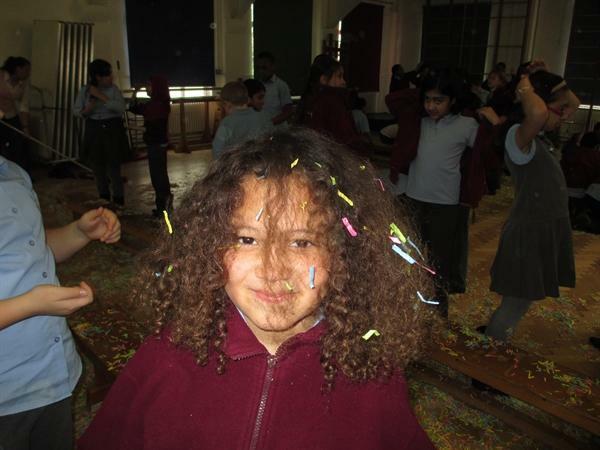 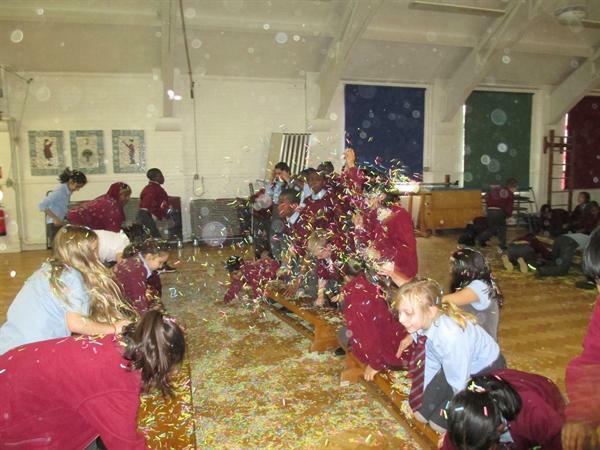 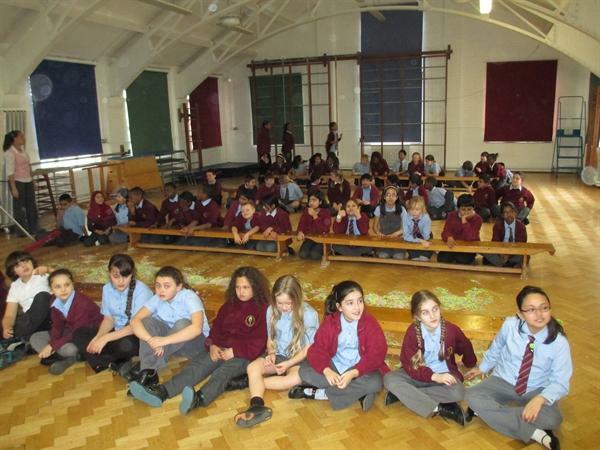 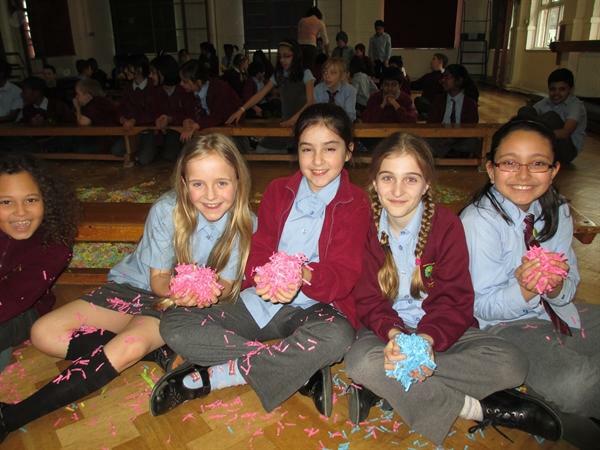 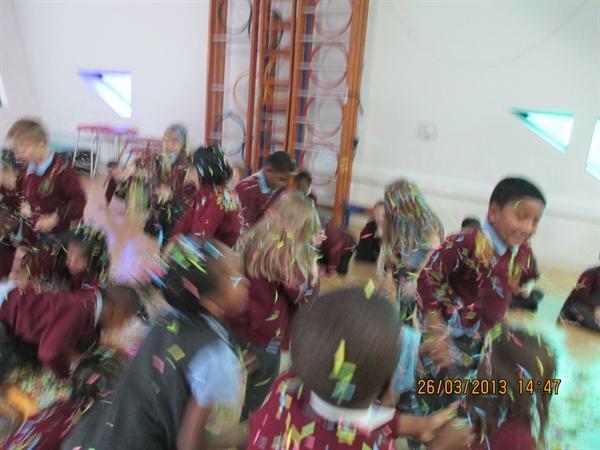 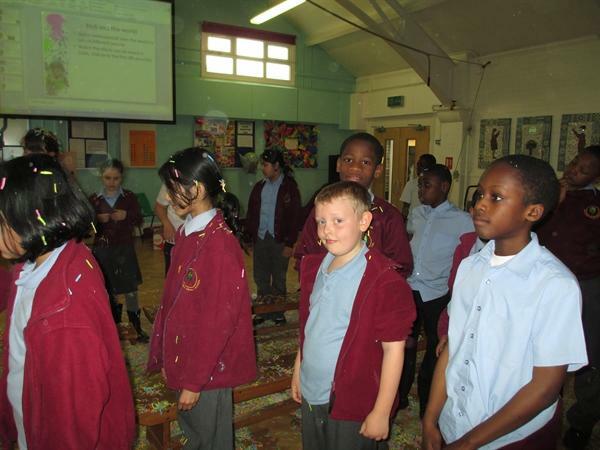 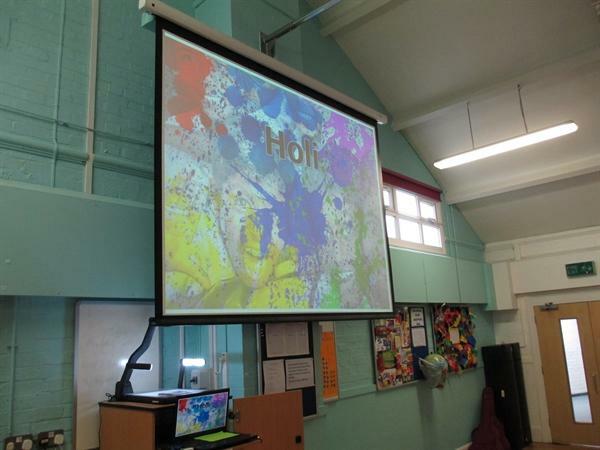 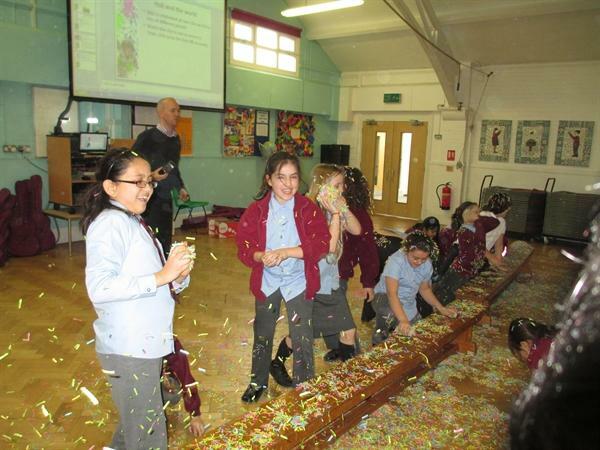 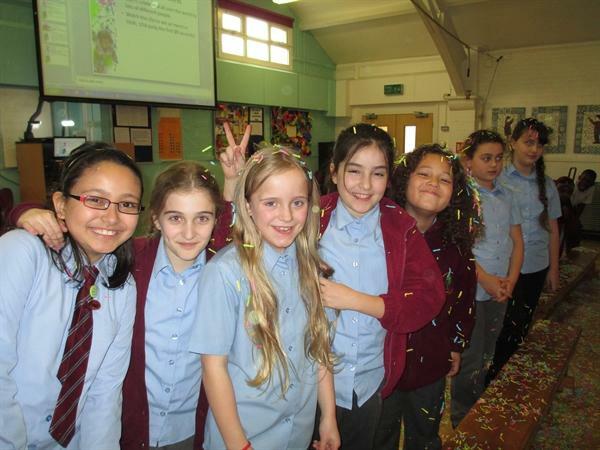 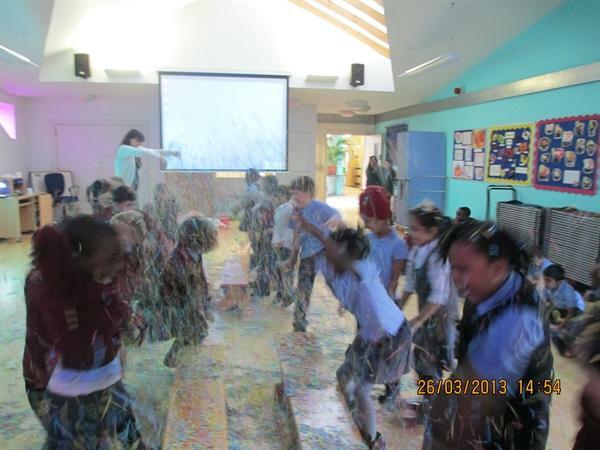 On the afternoon of Tuesday 26th March, Year 1-6 took part in an activity to mark the eve of the Holi festival. 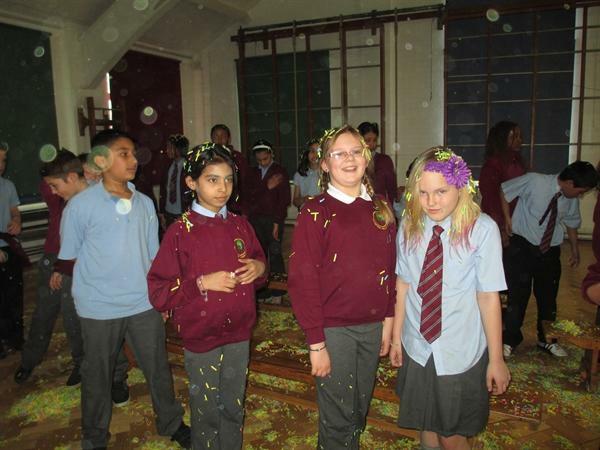 This festival is celebrated all over the world by Hindus and Sikhs. 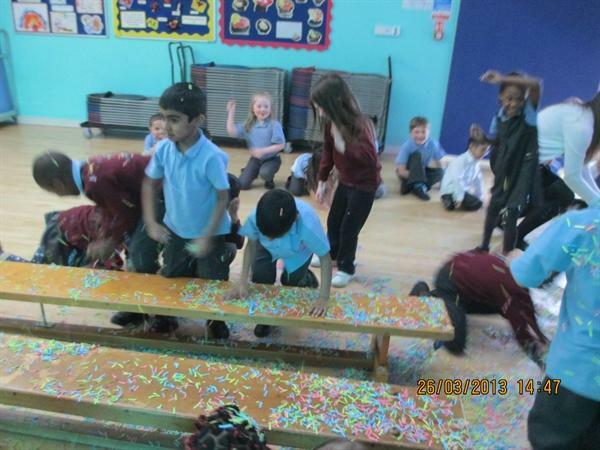 The children learned about the festival and why it is celebrated in 2D's cultural assembly on the 15th March. 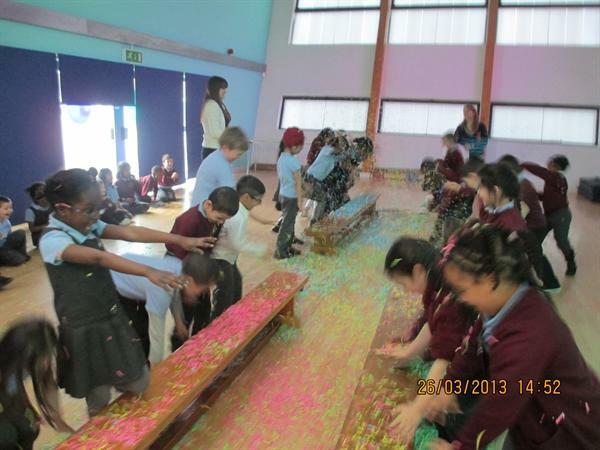 In the Holi festival (on the second day), people take to the streets to throw coloured powder at each other. 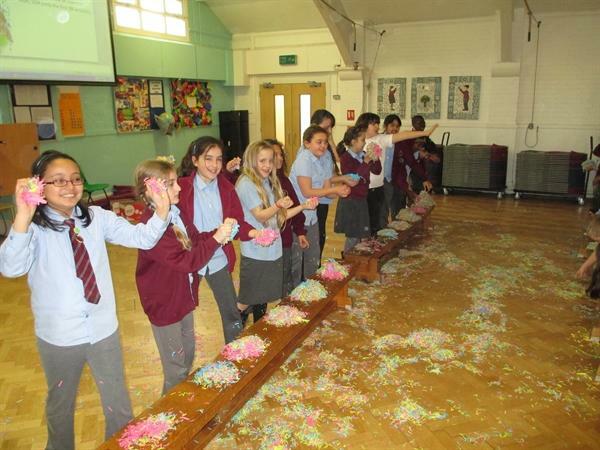 This colourful festival is well-known for being a fun and exciting celebration. 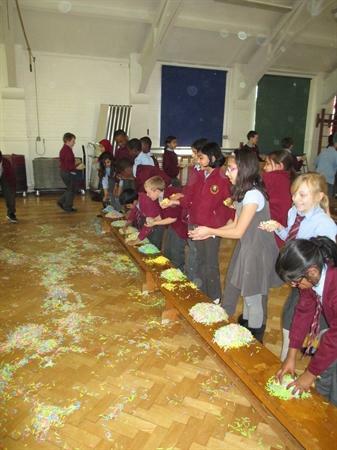 The bright colours of the festival are often linked to Spring. 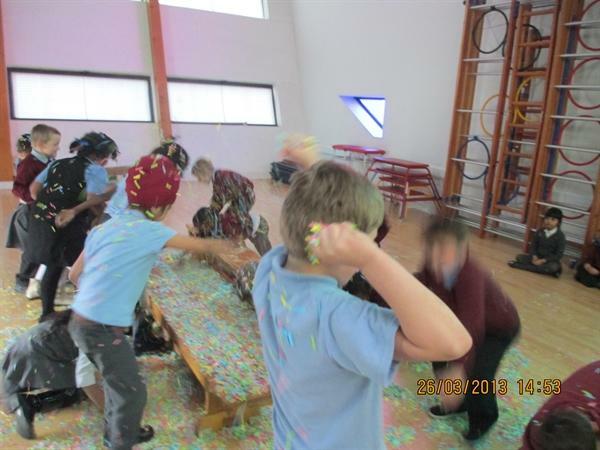 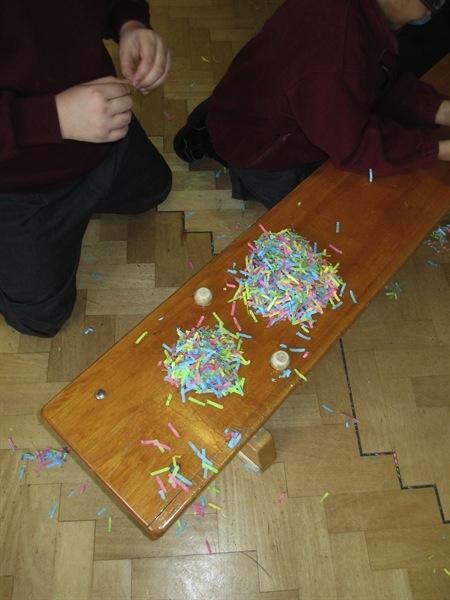 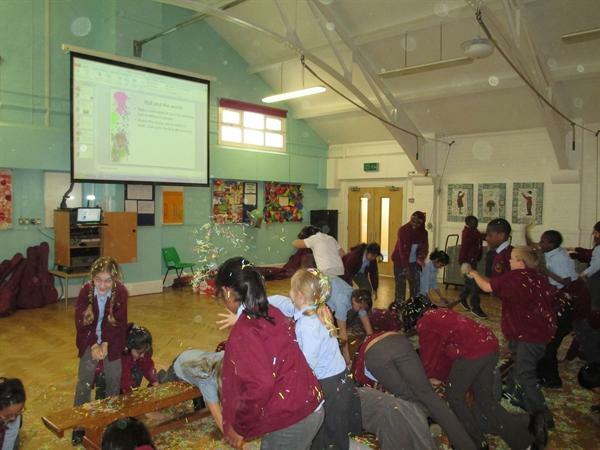 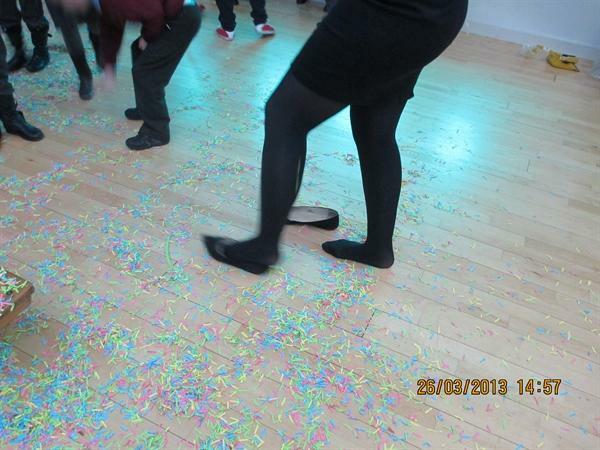 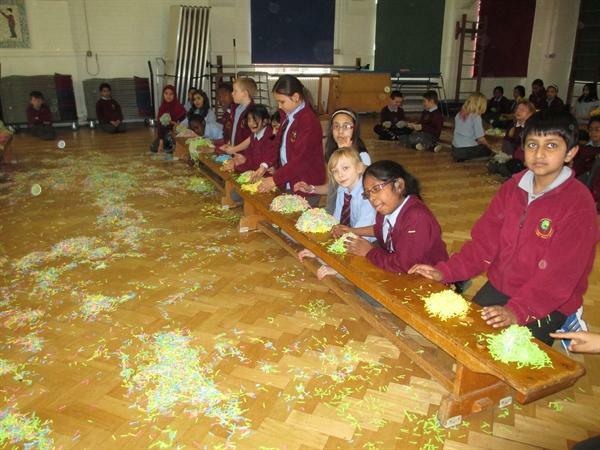 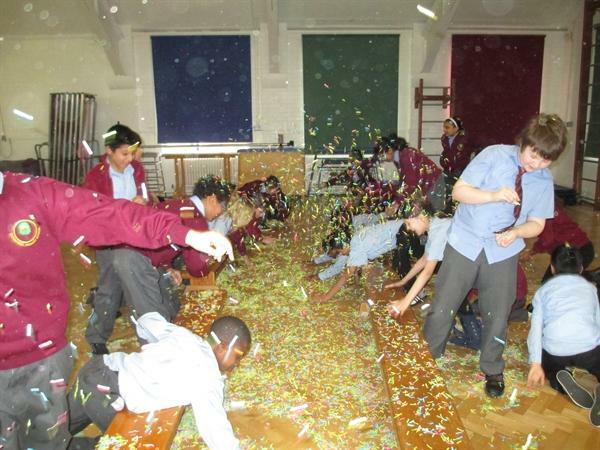 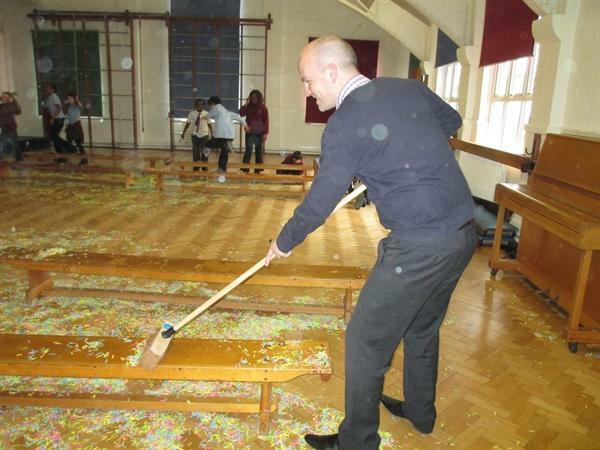 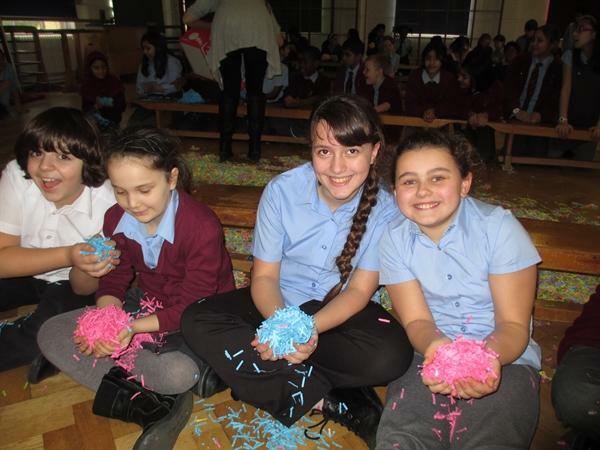 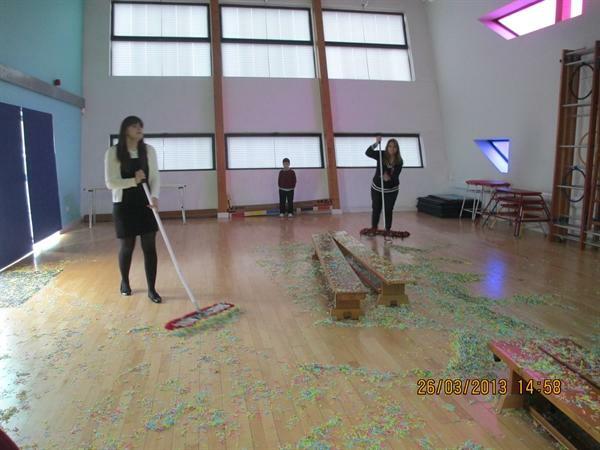 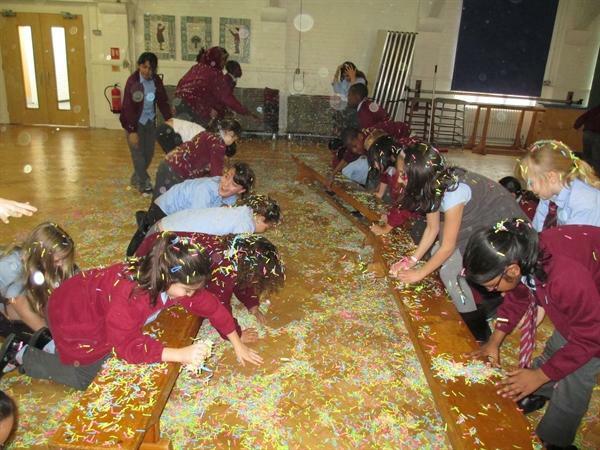 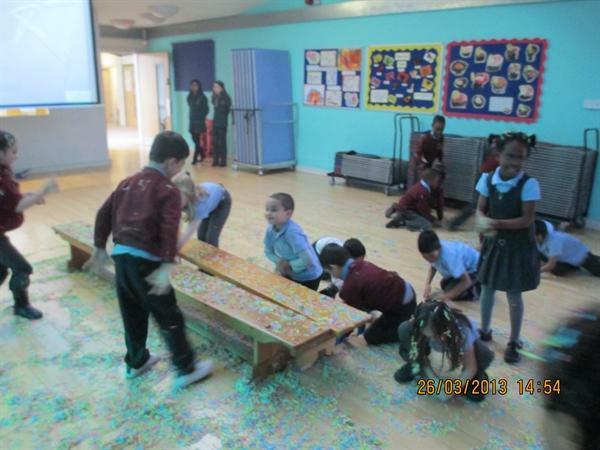 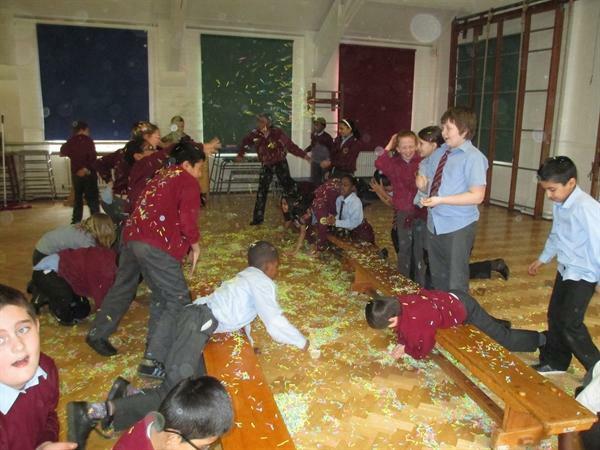 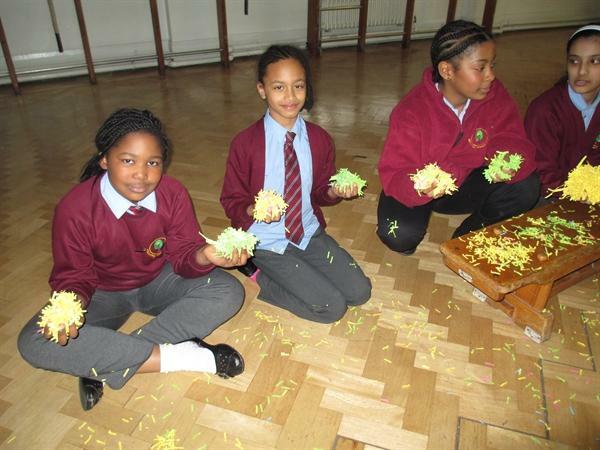 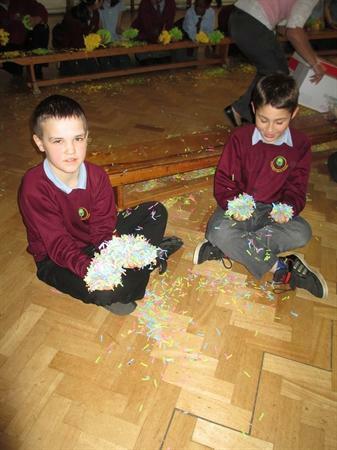 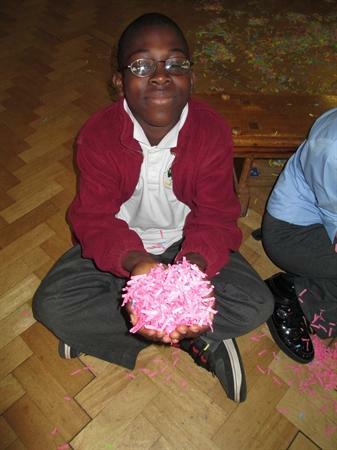 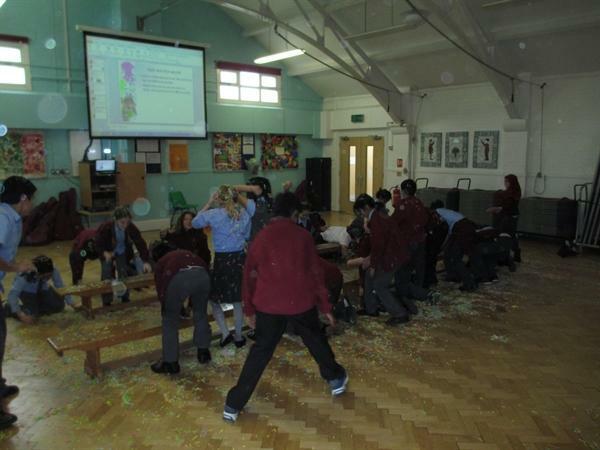 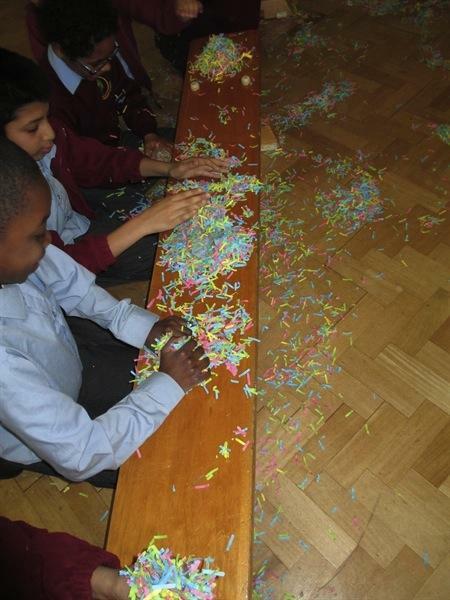 We gave the children the opportunity to experience the bright colours of this festival by throwing shredded pieces of paper at each other in the two school halls. 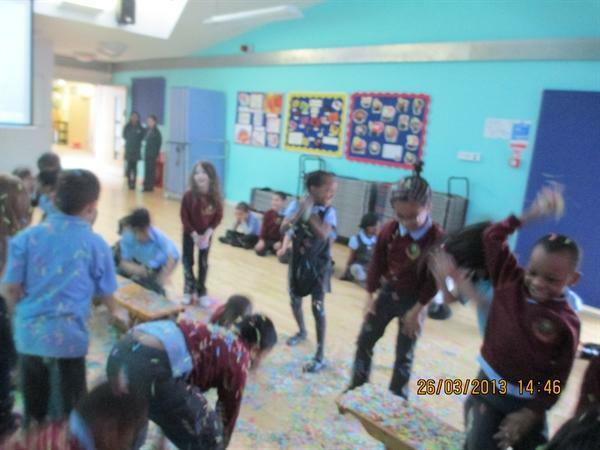 Take a look at the pictures to see exactly what they got up to!